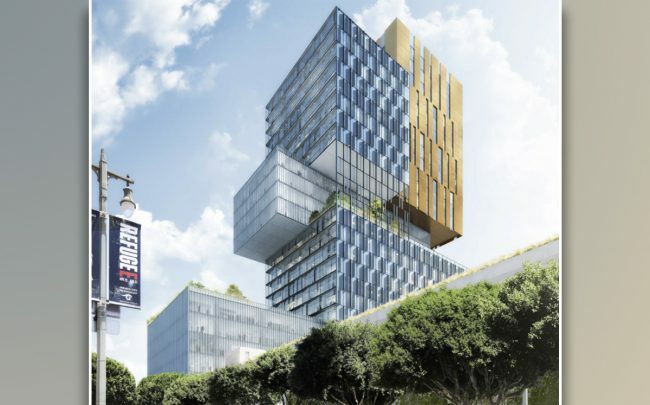 Construction on Tribune Media Company’s 30-story mixed-use tower in Downtown Los Angeles is scheduled to begin in 2022, after the Regional Connector station is completed below it. The proposed high-rise would include 107 condominiums, 534,000 square feet of office space and ground-floor retail at 232 W. 2nd Street, Curbed reported. The Gensler-designed project would take another three years to complete. Construction for the Regional Connector Historic Broadway station is underway underneath 2nd Street. That project is expected to be complete by the end of 2021. The four-stop subway line will connect to the Metro Gold, Expo and Blue lines.